No, it’s never a good idea to put a cheeseburger in your pocket, with all that grease, cheese, and saucy condiments likely to drip out and make an utter mess. That rule, however, doesn’t hold when the burger is actually a wallet and that’s why the Toddland Deliciousness Burger Wallet exists. 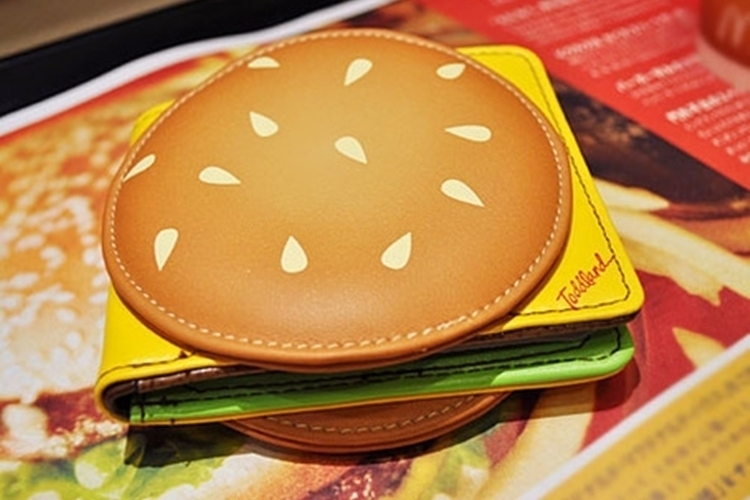 That’s right, it’s a wallet clad in the shape of a cheeseburger, allowing you to look like you’re pulling out a sandwich every time you go up to the cashier to pay. We know, squeezing an entire burger, with its round buns and thick patty, in your pants’ back pocket does not sound like a snug fit, but, again, it’s not a real burger and, as such, has been designed to ensure that it will slip right in. 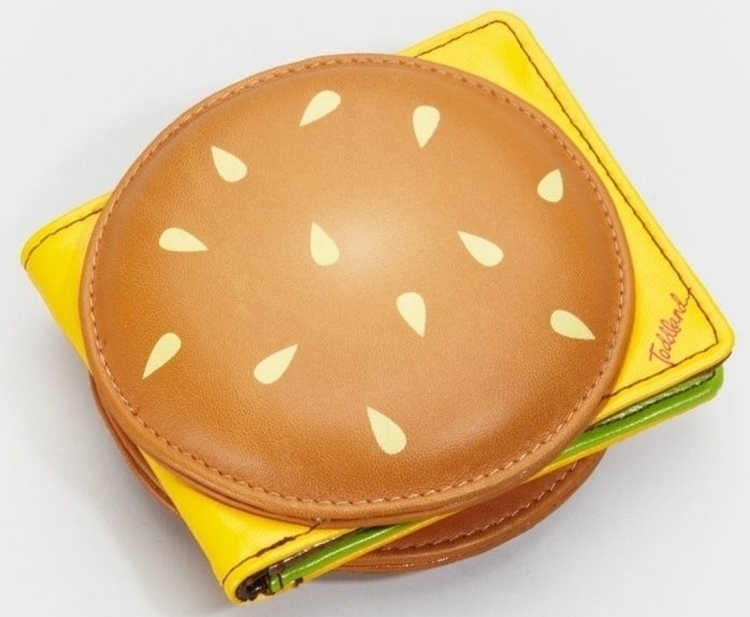 The Toddland Deliciousness Burger Wallet is an erstwhile regular wallet that’s been sandwiched between two sides of a puffy material done up to look like a sesame seed bun. With the wallet’s exterior covered in a cheesy yellow color, one side of its interior finished to look like a patty, and the other painted like a lettuce, the darn thing looks like a full-fledged burger from most viewing angles. No, we’re not talking a genuine likeness that will trick you into thinking it’s the real thing (it’s not photorealistic) – instead, it looks more like one of those toy burgers that come with a life-size children’s kitchen toy set. That is to say, this thing looks more playful than appetizing. 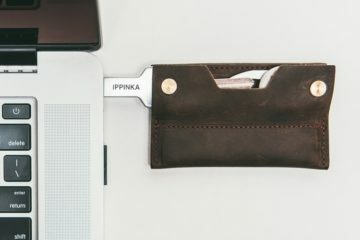 Construction is polyurethane for the wallet, so it won’t leave crumbs in your pocket the way an actual burger would, with the bun puffed up using foam, which should allow it to compress when you need to fit it inside a tight pocket. On the downside, absolutely no part of the burger is edible, so it won’t ease off your hunger a single bit, but it will let you keep all your cash and cards within easy reach, so you can easily pay for an actual sandwich at the nearest burger joint. 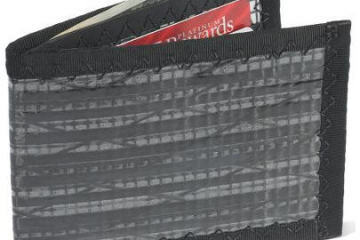 The Toddland Deliciousness Burger Wallet comes with a full-length slot for bills, five slots for cards, and a transparent window for your ID, so you can use it much like any regular wallet. 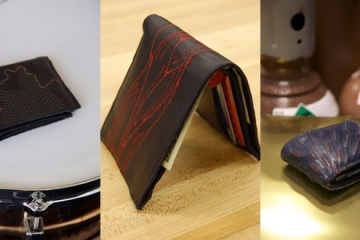 In fact, the darn thing is a perfectly conventional billfold, if not for the absurd food-like appearance. 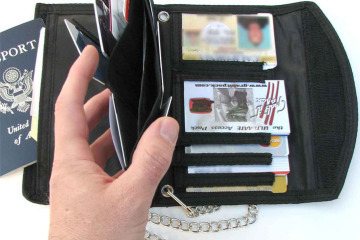 If you remove the stitched buns on the exterior of the wallet, by the way, you’ll be left with a regular rectangular billfold – one that you can still use, albeit without the fun burger appearance – just a wallet printed in a bunch of uncoordinated colors. Sadly, there’s no RFID shield, built-in battery, or any of the fancy elements found in many modern wallets, so the goofy toy burger appearance is all you’re going to get. If you’re bored with the same, old boring aesthetic of every wallet in existence, though, we guess that should be good enough. Want one? The Toddland Deliciousness Burger Wallet is available now, priced at $30. This is both ugly and beautiful! 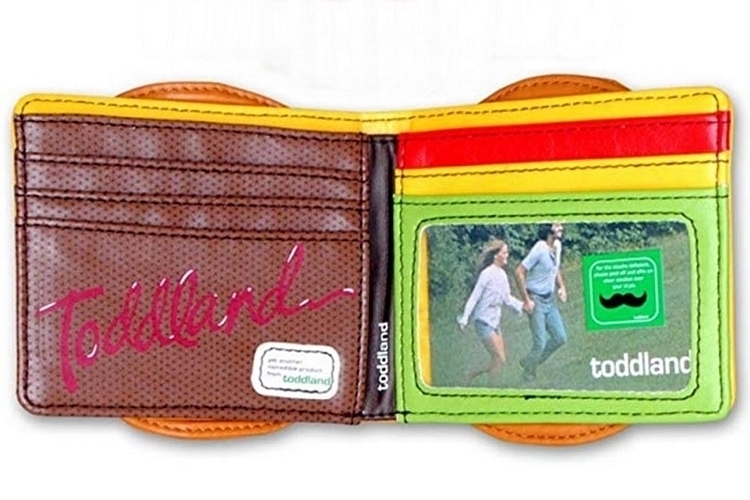 I would love to carry the Toddland Deliciousness Burger Wallet and whip it out when I am on a date. If the girl laughs and thinks it funny, then there will be a second date. If she cringes and rolls her eyes at my Burger wallet then I would immediately know that we don’t mesh well and there would be no second date. 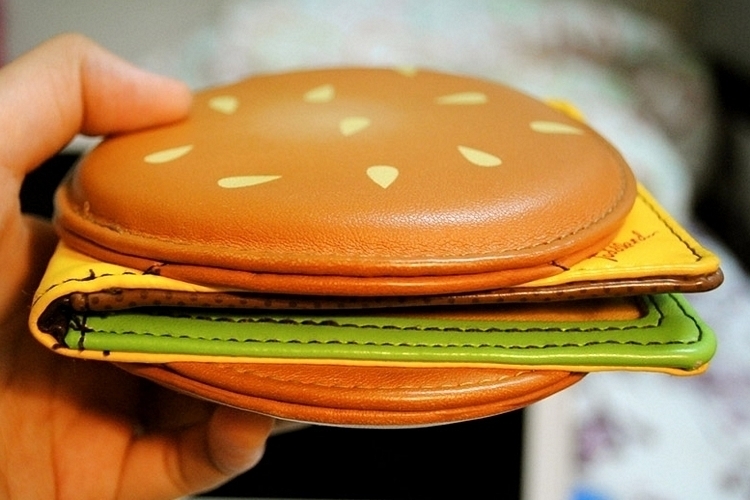 Too bad they didn’t use dyed leather to make the burger wallet instead of polyurethane. 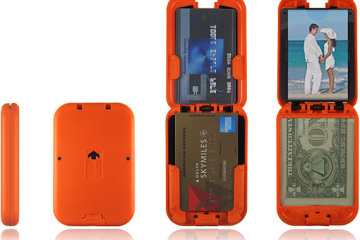 It would make the wallet cost a lot more, but it would be beautiful in a Kitsch manner. This is ugly…but it is so ugly it is beautiful. 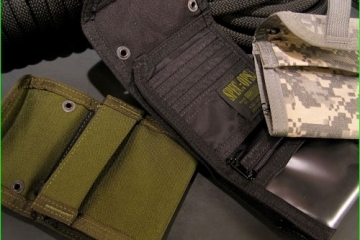 My kid would like this, but I think a first wallet should be something with Velcro for the kid. Might buy this for my dad, he’d get a kick out of pulling this wallet out of his pocket down at the coffee shop he goes to every morning. You know if they’d make the burger bun part hollow with a zipper you could store your Copenhagen can in there too!